Not sure of how many of you know that Natural Aloha was founded on a need for me to be healthy again. I had fallen so ill in 2013 that I could not even get out of bed. The symptoms were vast and scary and no one could help me explain them. 2013 was a time of much learning and growth. It was a painful and scary time. To face ones mortality is never easy, but to face it at age 40 brought me to my knees. I had to make the choice if I was going to live in pain and sickness or if I was going to find a way to be well and thrive. I took my health and wellness into my own hands and researched, learned, tried, tried again, felt better, felt worst....and then did it all over again. Through it all, one of the most beneficial discoveries that I made was that FOOD IS MEDICINE. We are never really taught that in school or in society. We are taught to eat what makes us happy and feel indulgent. We are not taught to eat the foods that make us feel good because at this stage in the game, most people don't know what it feels like to "feel good" anymore. People are no longer in tune with their bodies. In order to get "in tune" we have to eliminate the bad and introduce the good into our bodies. We should all be able to feel how good a nutritious meal makes our bodies feel. Let me just burst your bubble and tell you now, you will not feel like a million bucks, eating from the dollar menu at McDonald's. While I was learning and healing, I eliminated all processed foods from my diet and chemicals from my immediate environment (as much as I could control), and really tuned in to what made me feel good and what made me feel bad. This is how Natural Aloha was born! I couldn't tolerate the common deodorants and none of the natural ones on the market worked for me! Over this last year, I have been battling with some old symptoms off and on. Mostly because I had become complacent and had not made my health a priority. This is what most of us do in this day in age because we are so busy working, taking care of the kids, trying to keep up with the Jones', and the list goes on and on. STOP IT! Without your health, nothing else matters! I had to STOP IT or I could see myself going down the same path of stress and unwell. I have been revisiting some of my old research and came across a book called Life Changing Foods by The Medical Medium. This was one of my references through my revitalization all those years ago. While reacquainting myself with him, I came across his book called Liver Rescue. I bought the book and the audio book! Since then, I have been slowly reintegrating my wellness plan back into my life. For about a week now, I have been strictly following his advice of starting the day with warm lime water (I did this for years from 2013-2015 What happened??? Why did I stop? ), and also drinking at least 8 ounces of cucumber juice a day. I also have been doing my best to avoid dairy, gluten, and eggs. I normally follow a no gluten or dairy diet, but have been eating eggs A LOT lately, which may have been attributing to the brain fog I have been recently experiencing. Bottom line.....it hasn't been that long, and it hasn't been that hard but I already feel amazing with just these little changes that I am inspired to do more! Wishing you wellness and happiness! The new year holds much promise for many. It is a time of renewal and hope. So many make resolutions to lose weight, quit smoking, pay down debt, and the list goes on and on. There is nothing wrong with wanting to look, feel ,and be better. We should always strive to move forward. I, too, strive to look, feel and be better in a natural way. Living a chemical free life is very challenging in this day in age. We are constantly bombarded with pollution in the air that we breathe, through the pesticides sprayed on our foods, and by way of the chemicals that are in the products we put on our bodies. It is a must that we choose our food and products wisely, as there are so many chemical burdens which we cannot control. Start a food journal. Write down everything that you eat throughout the day. Take notice of everything. Write it down. Do feel good or bad? Nervous, anxious, calm? Any changes? Skin breaking out or clearing up? Gut feels good or bad? Do this for at least 4-6 weeks to track any trends that you may notice. This is a great way to identify foods that are not good for you. Become a label reader. You should be reading every label on everything that you have never tried before. If your food comes in a package (try and eat less of anything packaged) make sure it doesn’t have colors, dyes, high fructose corn syrup, artificial ingredients, and preservatives to name a few. When choosing products; take a snap shot of the label and research the ingredients. Avoid products that have ingredients like Sodium Lauryl Sulfate, Parabens, Phthalates, synthetic fragrance, and synthetic colors. Move. Not everyone can run, do cross fit, or boot camp. You need to do what is right for your body, but you need to do something. A brisk walk, yoga, or swimming. Not every body can do all things. I was always very active and athletic all my life. Prior to my illness, I was doing circuit training and high impact exercise. When I fell ill, I did not have the strength or stamina to walk let alone do high impact anything. It took me a long while to be able to build up the strength in my muscles and cardiovascular tolerance. I started with walking a little on flat ground, increased the distance and length of time, and then tackled the hills. I went back to yoga and hot yoga (although the heat occasionally bothers me, I listen to my body). A year ago I discovered The Bar Method and I have found this to be a great way to strengthen my muscles without the high intensity or high impact. I love the feeling of strength! Find a way to move your body everyday! The value of our health is priceless. It is worth it to live well and happy, every moment of our lives. I bid you a joyous and prosperous new year! Happy Chinese New Year too! Have you ever experienced joint pain? Stubborn weight gain or bloating that just won’t go away? Allergies and sinus issues? It is very likely that you may be suffering from an inflammatory response. More and more these days we are exposed to chemicals in our food, in the body products we use, and in our environment. We can’t always control the chemicals that we come into contact with, but we can choose what we put in and on our bodies. Everyone experiences inflammation during an injury. This is the healthy inflammatory response which is built into our systems. Acute inflammation is the body’s way of protecting us in response to injury. However, when chronic inflammation starts to make a home in your body, disease will eventually ensue. Chronic inflammation can present as fatigue, rash, joint pain, weight gain, abdominal pain, mouth sores, even chest pain (I have experienced all of this and more due to inflammation). In fact, all autoimmune diseases have an inflammatory component. SCARY RIGHT? It can be very scary, but it doesn’t have to be. There are so many things that we can do to minimize chronic inflammation. Nature provides some awesome natural anti-inflammatories and my favorite is ‘Olena. Most people know it as turmeric which has a very long history in medicinal use; dating back nearly 4000 years. Turmeric originated in Southern India which continues to be the world’s largest producer. My deep love for ‘Olena started over 5 years ago when I had become so ill that I was literally trying everything and anything to just feel better. It was during this time that my husband was gifted our very first ‘Olena plant. I soon found that ‘Olena would help with my chronic wide spread pain by way of decreasing the chronic inflammation that was occurring in my gut. I suffered from leaky gut syndrome (amongst other illnesses) which a complete change in my daily nutrition regimen and the addition of ‘Olena into my diet, helped turn me around. My husband planted as much ‘Olena that he could get his hands on so that I would have it fresh all the time. I learned to juice it and drink it straight up (it’s rough but you’ll get used to it), I dehydrated it and made it into tea, or to use in soups and meals. 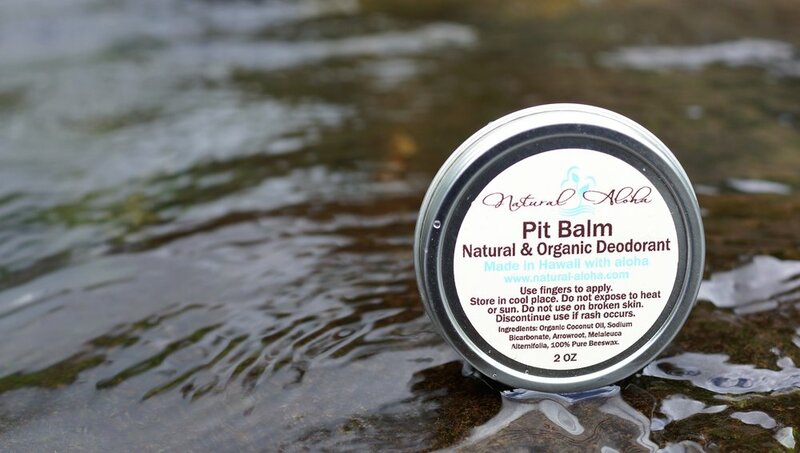 We used it in poultices for numerous injuries and it soon found its place in our Natural Aloha products. Today our ‘Olena can be found, not only in our Homegrown ‘Olena Body Scrub and Salt Soak, but also in our Olenalicious Lip Balm and our ‘Olena Love Lotion. From time to time we are able to provide small batches of our dehydrated ‘Olena for sale.